Initially the design of this Qashqai Pelas seems to consist of one broad green band flanked symmetrically by two bands of terracotta. Further attention reveals a subtle division into slightly lighter and darker bands in all three of the larger areas, producing a subtler internal striped effect across the entire rug. 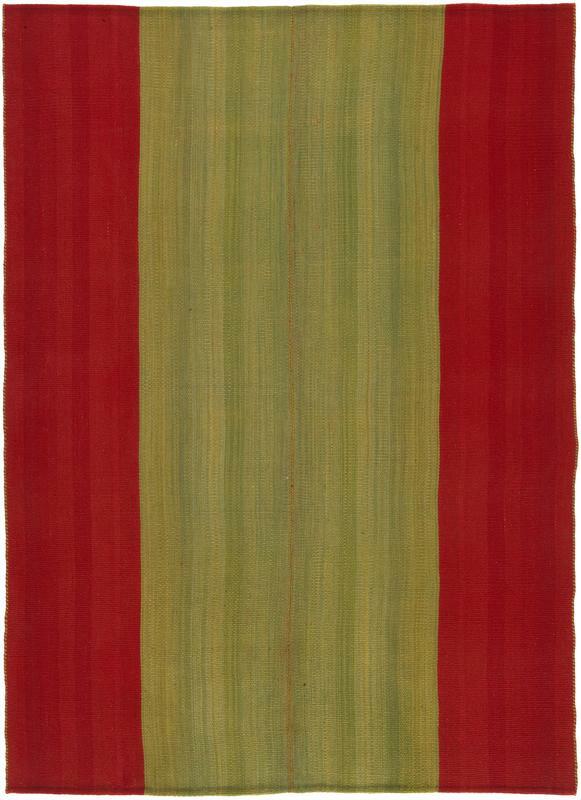 Within these stripes are even finer gradations of tonality or ‘abrash’ that virtually merge with the texture of the weave itself. Tribal art of this kind is far more complex that it appears.